When we adopted our senior dog, Poppy, a few months ago, my sister-in-law joked that our house would be his retirement home. He spent years in an outdoor dog run and was finally surrendered because he played too roughly with some new puppies. We haven’t had him that long, but one thing is for sure, he loves his Purina ProPlan Bright Mind dog food. 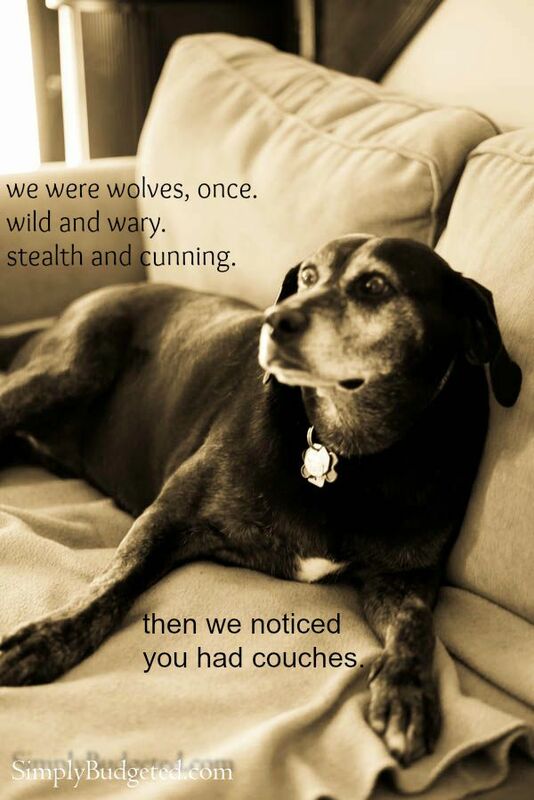 And couches…he LOVES couches!! When we started looking at dogs again after our Buddy passed, we were really looking for our kids’ benefits. They were constantly asking about a new dog and we knew that any dog we got would have to have the right temperament for them. We lucked out with Poppy. Not only did he need a home, but he loves having his kids to keep track of. Since he is older dog, Poppy’s body is pretty tired. He loves to sleep. He has the comfort of his couch, of course, but it’s not uncommon, when the A/C is on, to find him laying by his food and the A/C vent just soaking in the cold air. Of course, he’s also closer to his Purina ProPlan Bright Mind. Once a dog reaches 7 years old, the brain starts to change, affecting memory, learning, awareness, and decision making. 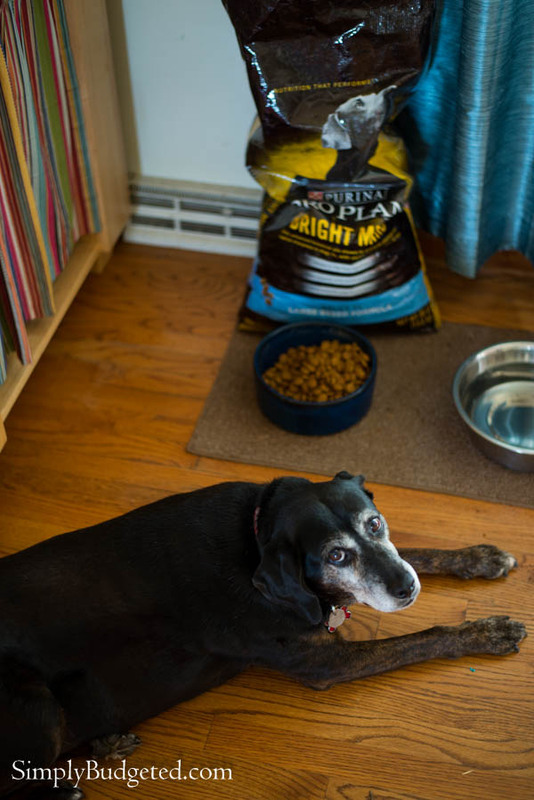 We noticed within 30 days of making the switch to Purina ProPlan Bright Mind that Poppy’s alertness and mental sharpness has improved. He’s more apt to listen and follow instructions now, not necessarily learning anything new, but remembering what he had learned before. If you want the same kind of results with your senior dog, now’s your chance! If you Spend $10 on any Purina Pro Plan Dry Dog or Cat Food* at PetSmart between 8/31 and 10/4, you can save $10 on your next Purina Pro Plan Dry Food purchase, 14-lb. or more, on or before 11/1. After a quick bite and soaking up some cool air, it’s not uncommon for Poppy to disappear for a while. 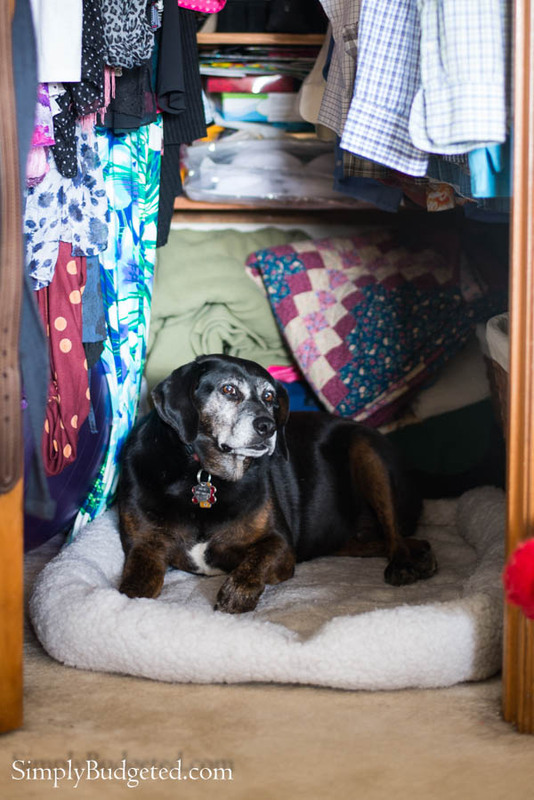 Of course, like any dog, he has to have his den, a place that he can run to when the storms come in or things just get too rough. He has totally claimed our closet for this purpose! If we look around and don’t see him, it’s a good bet that he’s in there. Like I said earlier, Poppy loves his kids and spends a lot of his time looking after them. 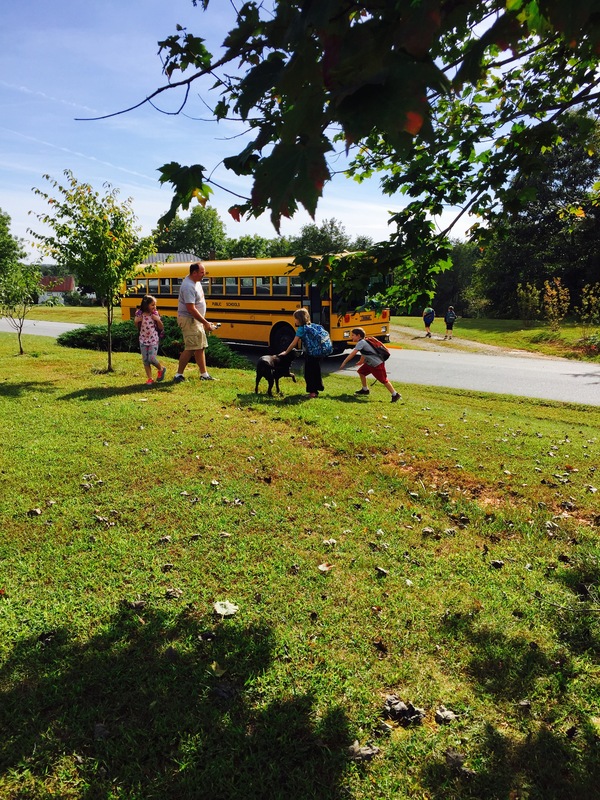 When they’re off to school, though, that’s Poppy’s time! He gets to run and play and have me all to himself. His favorite time of day, though? When that bus gets home with his babies. He meets them at the bus every day! And after the kids get home, Poppy can finally relax and just crash wherever he wants. It’s kind of nice being retired, isn’t it? 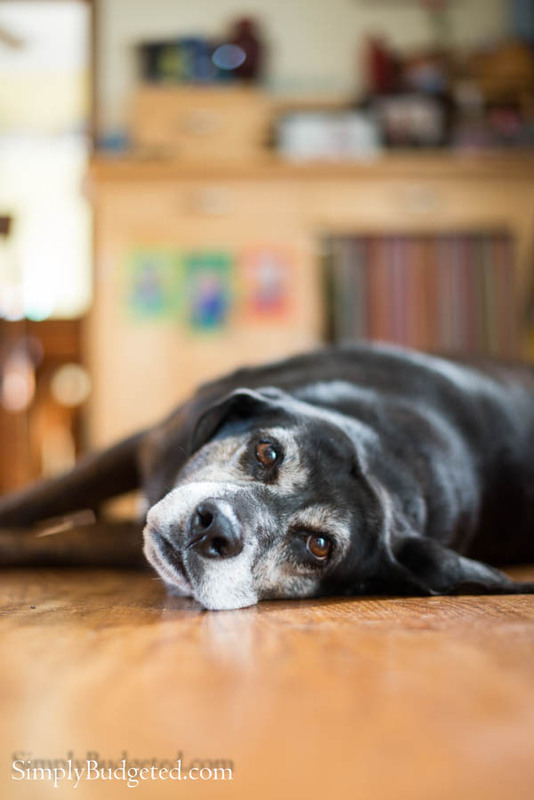 Do you have a senior dog? What favorite tricks do you want them to remember? Poppy has a great life now in his retirement – you can see it written all over his face.